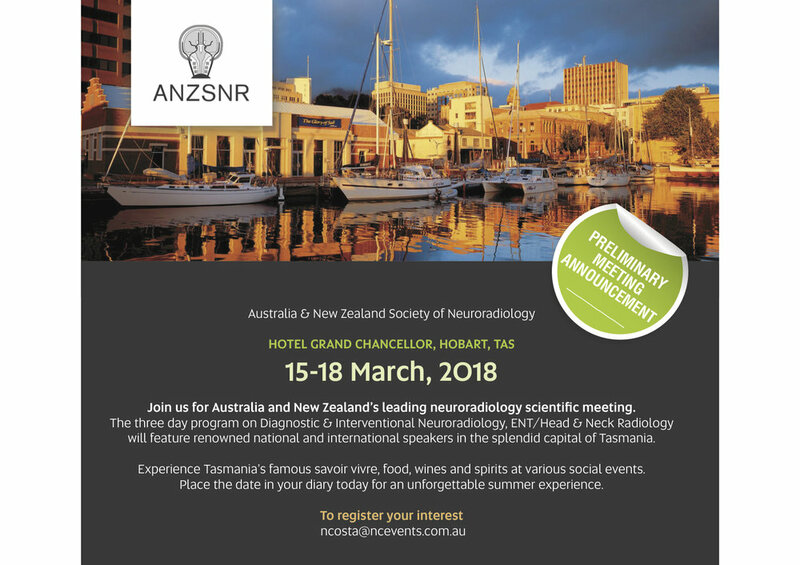 Join us for Australia and New Zealand’s leading neuroradiology scientific meeting. The four day program on Diagnostic & Interventional Neuroradiology, ENT/Head & Neck Radiology will feature renowned national and international speakers in the splendid capital of Tasmania. Experience Tasmania’s famous savoir vivre, food, wines and spirits at various social events. Place the date in your diary today for an unforgettable summer experience.